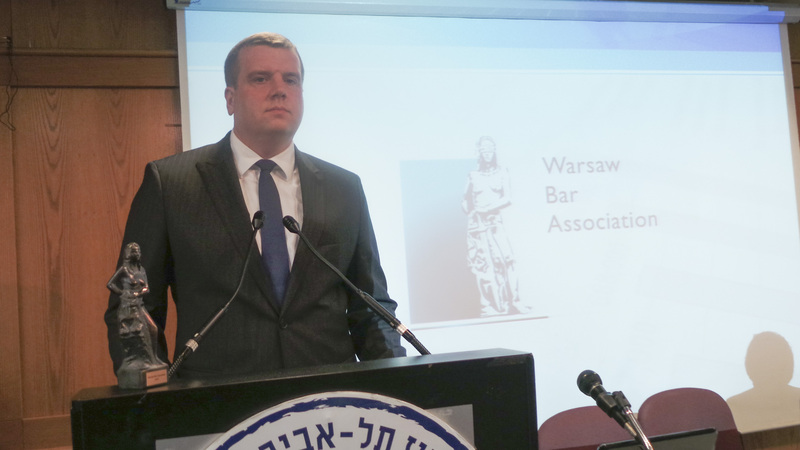 In the end of November, at the invitation of the Bar Association in Tel Aviv and its President Efraim Nave, an official delegation led by Włodzimierz Chróścik, President of the Warsaw Bar Association, together with Piotr Płachta and Michał Wawrykiewicz, legal counsels from the Foreign Committee of the Warsaw Bar Association, was held in Tel Aviv. The participants of the meeting agreed on cooperation consisting in mutual support. Thus, the investors from Israel, who work on a daily basis with lawyers from Tel Aviv and who invested or intend to invest in Poland, will be assisted by professional Polish lawyers through the Warsaw Bar Association. The issue was emphasised during the presentation given by attorney Wawrykiewicz on property restitution in Poland, with special consideration of the restitution in the capital of Poland. The presentation included the genesis of the present situation going back to 1944 and the legislation in force after 1989. It was also agreed that within cooperation between the lawyers from Warsaw and Tel Aviv, apart from the mutual exchange of experience, both associations should jointly organise conferences as well as initiate an exchange programme for lawyers and prepare seminars for trainee legal counsels. During the visit, in the presence of Aleksandra Krystek, Consul of the Republic of Poland in Tel Aviv, the representatives of the two associations signed a declaration of friendship and cooperation. 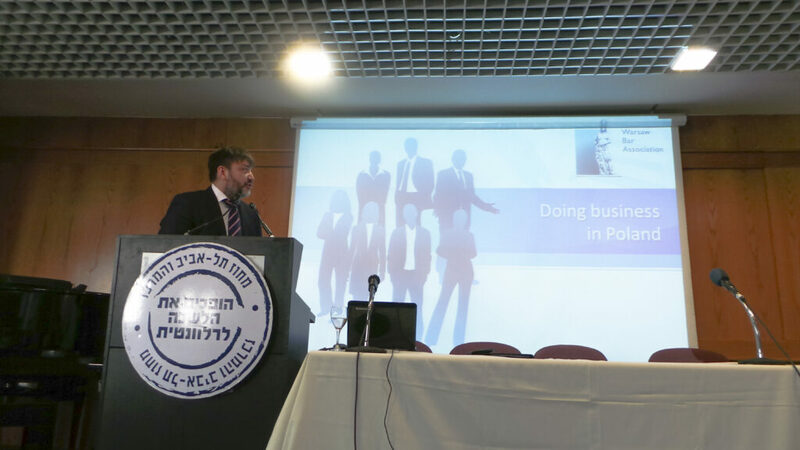 Earlier, there was a seminar during which attorney Piotr Płachta made a speech devoted to Poland and the investment opportunities, explaining the general principles of doing business in Poland. The representatives of the Warsaw Bar Association also interpreted the arcana of the legal system and the terms of rendering legal services in Poland. The outcome of the visit is the invitation offered to the representatives of our Association to the biggest congress of investor relations in the region (5 thousand participants), in Eilat, in June 2015.